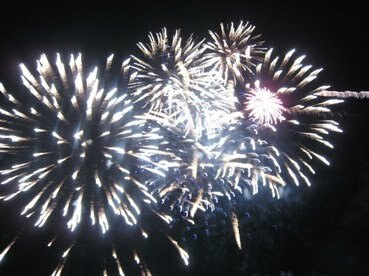 One of my favourite things about living in England, is bonfire night. The 5th of November fell on a Friday night. Originally we were planning to go to Wythenshawe Park to go and see the fireworks which are put on by Manchester City Council. However, we were invited by our friends, Paul and Rachel, to attend the Round Table bonfire night in Wilmslow, so we decided to go on Saturday night instead. Bonfire night is all about families going out together. Everyone dresses up warmly, because it is generally very cold (it was about 6 degrees C last night). If it has been raining (which it has), then it is best to go in your wellies (gumboots), because it gets very muddy and slippery underfoot. Bonfire night is also synonymous with mulled wine (gluwein) and toffee apples, although I give the latter a miss. I like toffee and I like apples, but not together! We parked up, then promptly started walking in the wrong direction. We knew where the park was, but couldn’t find the entrance! We got there eventually though, paid our £8 each entrance fees, and joined the very large crowd to wait for the fireworks. They were spectacular! I am in awe each time I go to a display. Apparently the fireworks cost about £8,000! But judging by the number of people who attended, I do think they covered costs. Afterwards we returned to Paul and Rachel’s for dinner. A lovely evening in all.